The patch work design on these boots is just brilliant. The Stack 301 has a massive 7 inch platform and comes with full inner zippers. 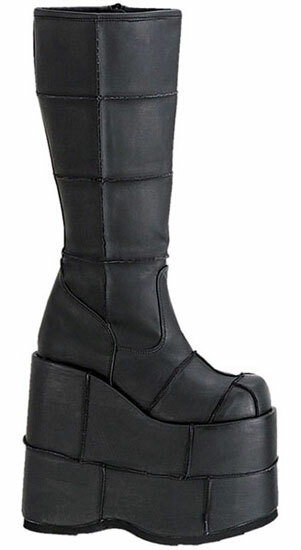 Plus they are surprisingly light weight for the height. 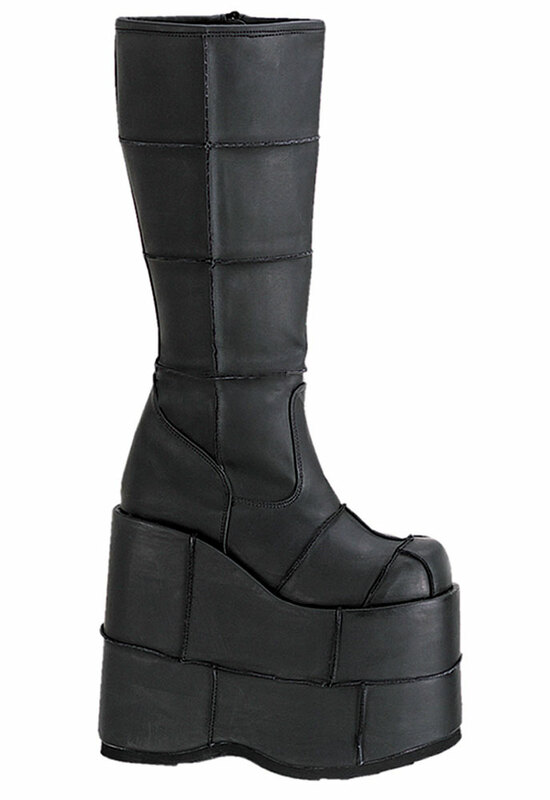 The patch work on these boots also extends over the platform making these unique boots by Demonia that much cooler. 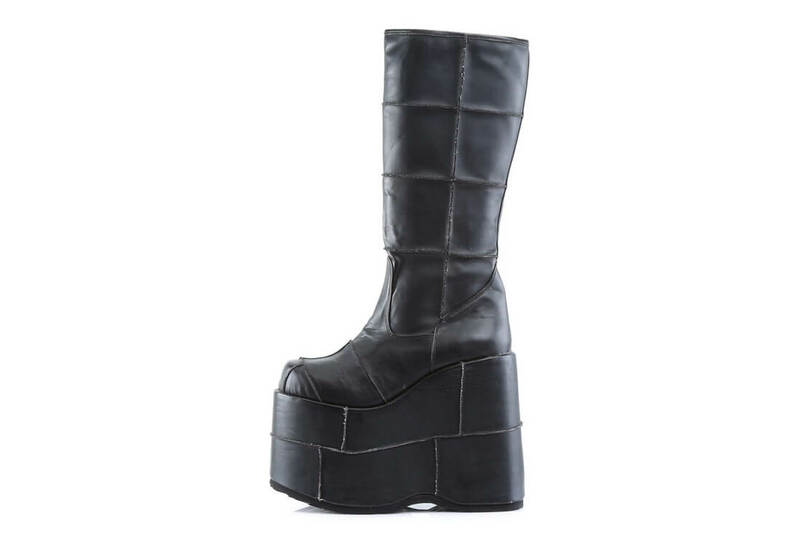 I'm in love with them they are gorgeous and are going to be the most outstanding asset to my Halloween costume I am 5'11" so these make me almost touch the ceiling lol. The only reason I docked a star is because they don't fit my calves but that's no biggie I'm getting that fixed. These are AWESOME. The world looks much different up here and it makes me sad to come back down to 5'3" when I take them off. 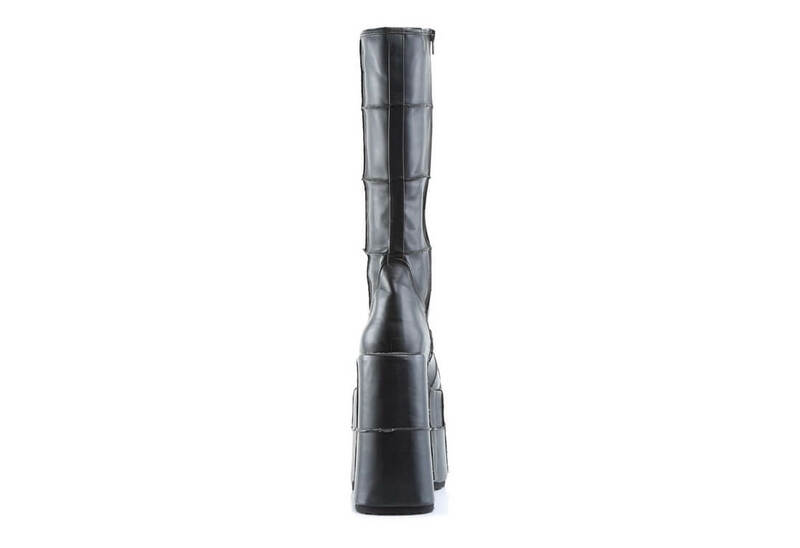 The product description recommended going up not down a 1/2 size. I'm a 6 1/2 and could have easily done a 6 instead of 7. It feels a whole size too big. I'm really hoping inserts fix that because I really want to be able to dance in them. 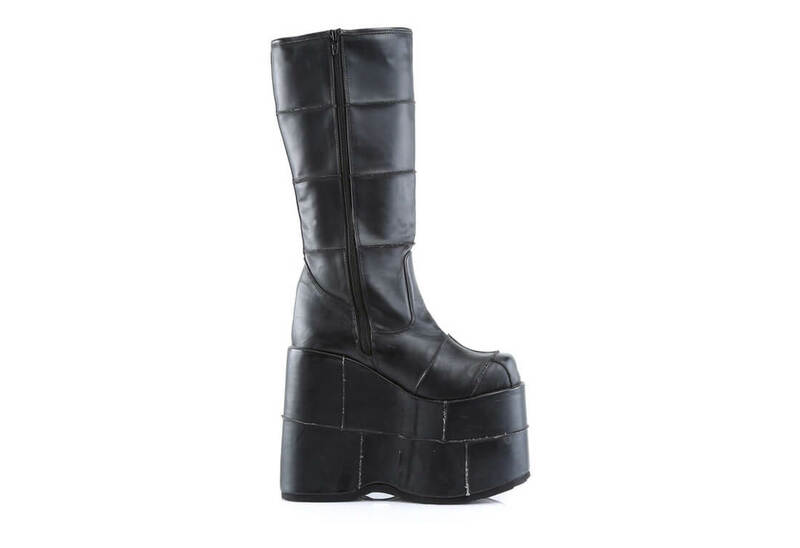 They are lightweight, not sure how danceable they are because the size is too big. It will be a disappointing investment if I cannot fix the size with inserts. They are comfortable and they aren't as heavy as I thought they would be. They're about the same weight as a work boot.